Wow, its awesome! Its BG1EE only? Can you also add description and patch notes in english? Are you planing to make also BG2:EE version? >Can you also add description and patch notes in english? Ah... it's very hard to me because my english ability is very poor. Please use Google Translation if you know description this mod. Foregive me. However I welcome english users bug reports. Maybe this mod would have compatible to all of the other languages. >Are you planing to make also BG2:EE version? Now I don't have that plan... but I will do it if many users want also BG2EE version. I have asked mlnevese to add your mod to main mod list for BG:EE, so it is easier accessible. 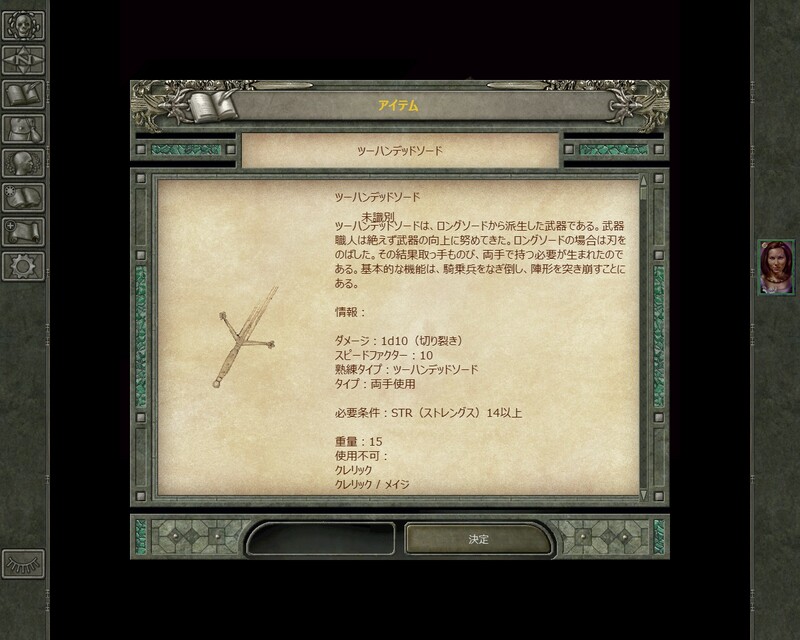 I'm also sure more people would be interested in BG2:EE version, since we don't have any GUI mod yet for this verion. Also patch 1.3 is coming out soon and people will start new run. Think about it and thanks for your work . That's good idea. I welcome that this mod is added to BG:EE mod list. What is should I do to it? Thank you for the message of the Japanese. Really nice ! As you say, this mod's theme is Temple of Bhaal. You are correct ! I can't make iOS version because I don't have any iOS devices. I'm very poor, and my wife is very beautiful but stronger than Godzilla. So, it's mission impossible. I want to live. Can somebody please lend me a hand ? Every unzipper i tried didn't work : each time it says the content is broken. 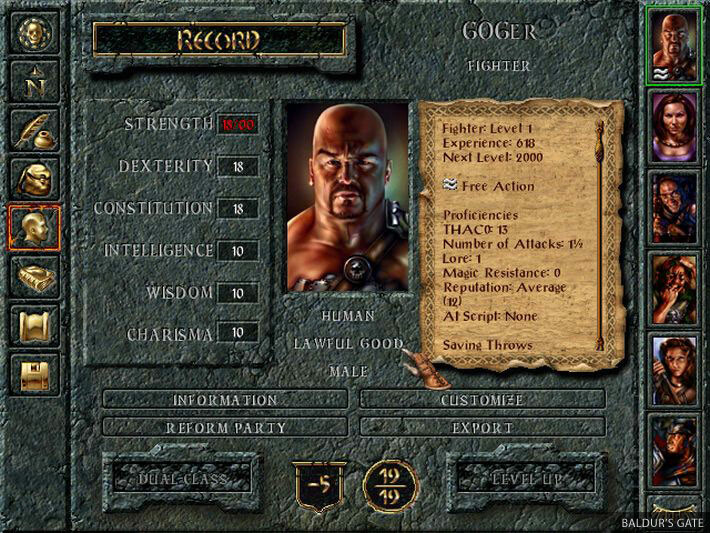 I'm also sure more people would be interested in BG2:EE version, since we don't have any GUI mod yet for this verion. Yeah, for example, I am really interested in this GUI mod, it's just great. I would love to see this UI with the original colors (gray, white and gold). I would absolutely LOVE a BG2:EE version of this. One of the biggest problems I have with the EE's is their GUI design -- it is absolutely horrible to me -- but your work is amazing. Just beautiful. So please, PLEASE make a BG2:EE version! I added BG2EE version. Please check here.